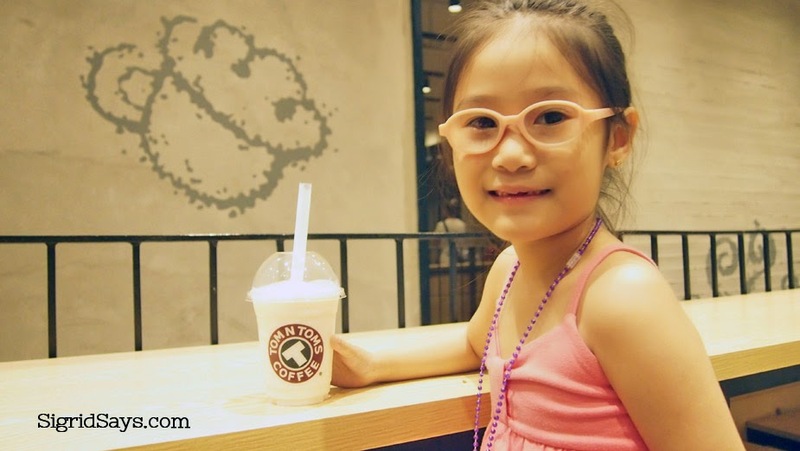 Dindin with a house specialty–plain yogurt smoothie–for non-coffee drinkers. 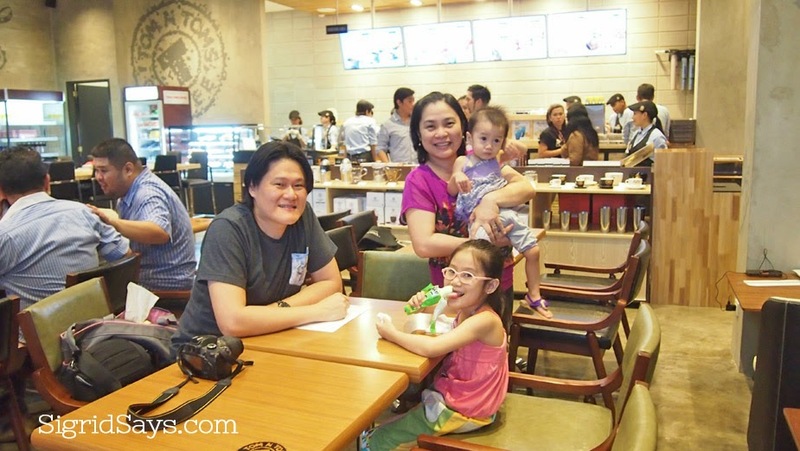 Bacolod City is privileged to have been chosen as the home of the first Korean coffee shop franchise–Tom N Toms Coffee. 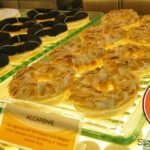 Located at 26th-Lacson Street, it is by far the biggest international coffee shop in the City of Smiles with a total area of 700 square meters on two levels. At one time, the whole place can sit up to 260 people. 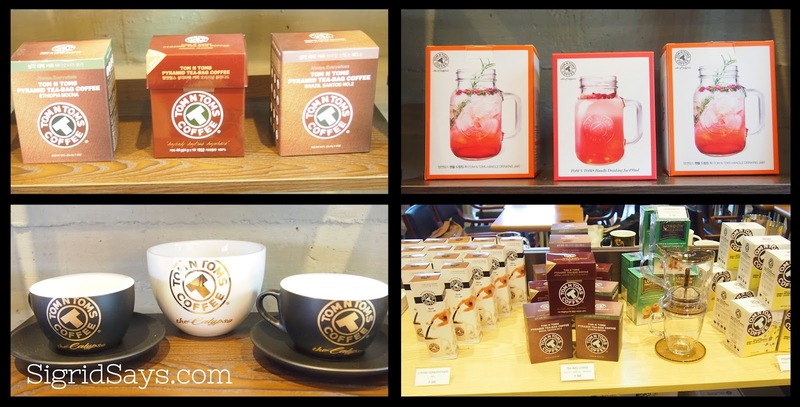 Tom N Toms Coffee envisions itself to become the leading brand in the Korean coffee industry through its professionalized operations. They aim to satisfy their customers with the rich taste and aroma of their high quality coffee blends crafted using their very own roasting technique and technology. 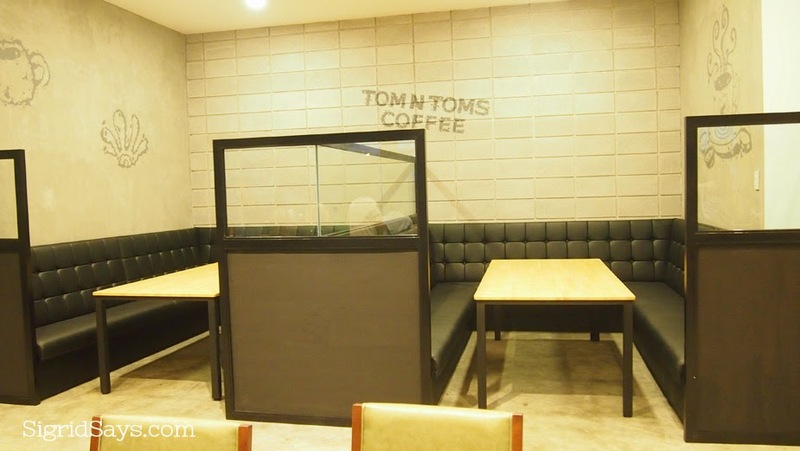 But aside from their coffee creations, what sets Tom N Toms Coffee apart is their freshly-baked pastries and pretzels that are prepared in front of the customer. 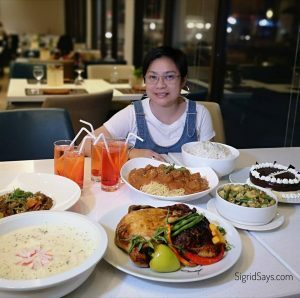 All these offerings combined with a comfortable ambiance and excellent service, Tom N Toms Coffee may be the next coolest hangout in Bacolod City. Their first branch in Korean is in Apgujeong-dong, which they opened in 2001. 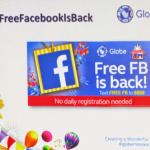 Soon after, they started conquering the world, serving their coffee and extending their friendly service to the US, China, Australia, Mongolia, Qatar, Thailand, Singapore, and now the Philippines. 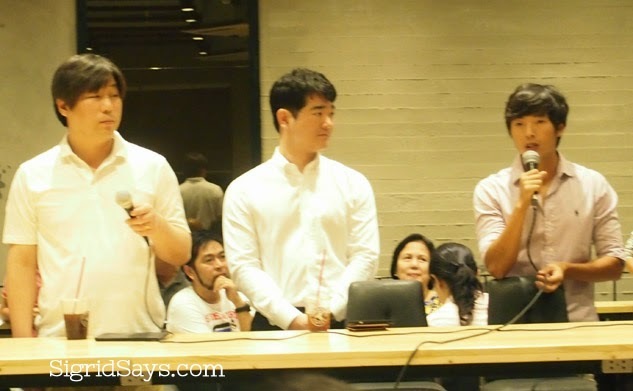 From left, Tom N Toms Coffee officers: Kim Do Kyun – CEO; Kim Hyeong Seok – Executive Director; and Peter Kim – President of Tom N Toms Philippines, during the media launch yesterday. 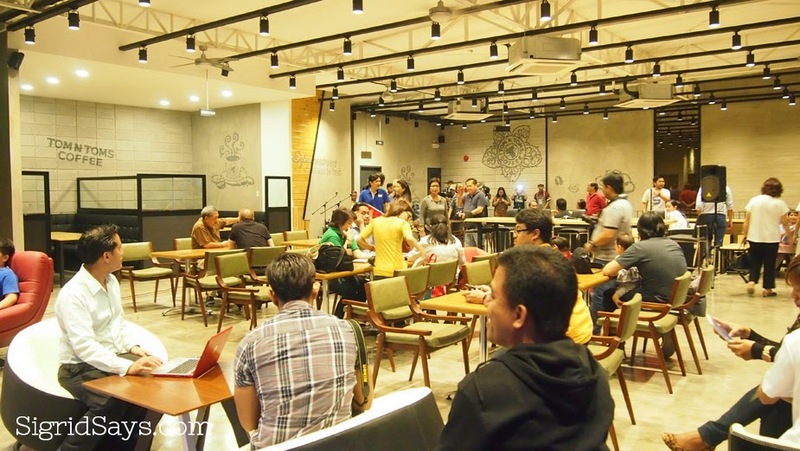 Tom N Toms Bacolod has seating areas designed for a group of three or more, semi-private business rooms with separate electricity outlets, high-speed wireless internet, as well as smoking areas. 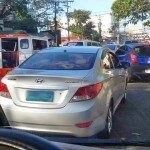 They also provide adequate parking spaces. 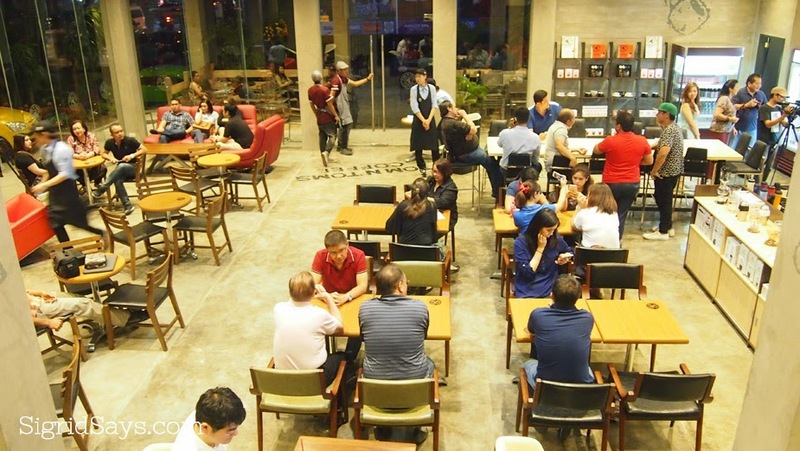 Tom N Toms features two semi-private business rooms for small meetings. Pretzels are prepared in front of the client so you are sure that these are freshly made. 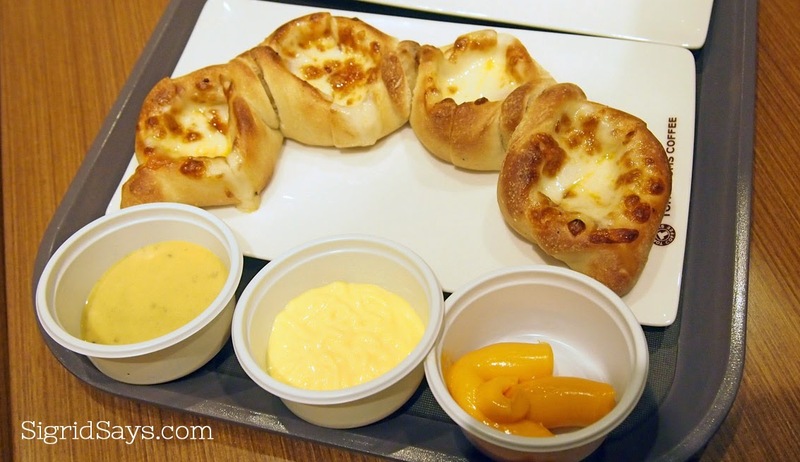 Sweet potato and mozarella pretzel with three different kinds of sauces. Tom N Toms believe that a small cup of coffee could make its own story. 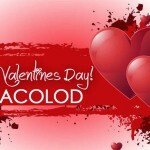 And they are looking forward to a wonderful and lasting relationship with the people of Bacolod. Our family during the media launch.